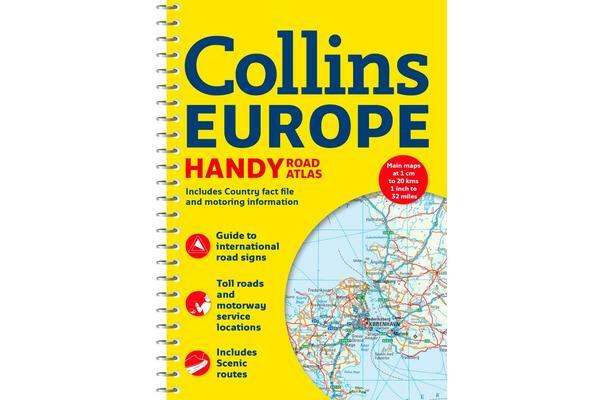 Handy A5 format road atlas of Europe at 34 miles to 1inch. Euroroutes and motorways are easily distinguished on the mapping. The maps also show international road classifications, road distances in kilometres and land height is shown by attractive layer tints. * Route planning maps at 1:6,340,000 with political colouring. * Distance map and chart. * Information on international road signs. * Main road maps at 1:2,174,000. * Each page has a little locator diagram to help you pinpoint where you are in relation to the rest of Europe. * Full index to place names. * Full updates including new motorways in Ireland, France and Hungary. Motorists planning a journey in Europe and for use en route. It is also ideal for those travelling by public transport who would like a neat portable atlas to take with them.